The Curvy Fashionista blogged on the fact that Chanel used Crystal Renn for a spread in Elle. Pictures are below. I have to keep it 100% honest with you, as my title is a spin off of Marie's. Karl did drink the Koolaid, but he definitely did not know the flavor. First off, I know that although Crystal Renn is in these clothes and will be modeling them, at this time they are not offered in anything that I can remotely squeeze into. Second, is is just me is this spread astronomically hideous. Never have I seen Chanel look like a dishrag on anyone. If he ever does plus size, which I seriously doubt, but for the sake of agreement let say IF. Would you really pay Chanel's hefty prices for this? I love the regular aesthetic of Chanel, but this is certainly not even comparable, minus the tweed blazer, which in my opinion is still bad b/c it look ill fitted and too short. I'm sorry I kind of went in on this one...all I can say is EEK! I guess it has to start somewhere, but does the start have to be so terrible. 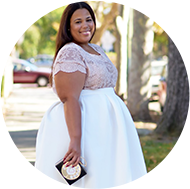 Sidenote: As I am reading a lot of the views by plus size women, the focus seems to be more on the model, Crystal, than the clothes. This poses the question is fashion for the curvy girl more about models and modeling than the actual garment themselves? In any other ad a model is a nameless hanger, unless you are like are a supermodel and in reality those died out in the 90s. Now it seems that everyone wants to be a model and the for plus size the fashion shows seem to be focused on the models rather than the fashion. I feel like the distraction of the models is skewing our opinions on what really matters....the clothes. Any comments? While I didn't like the purple jacket look, I loved the other two outfits Crystal wore in the fashion show. I do have to say that I hope Karl wasn't trying to do a fad type of thing by casting her, but it was great for Karl to finally put a curvy model and let her go down the runway. Even though this was only the resort collection, I hope in the future he will use her and other curvy models for the more mainstream Chanel shows. What's the point of using curvy models, other than for kudos, if actual curvy women will never be able to purchase these in real life? I'm on the fence about these pieces and I definitely know for sure that I'm not a fan of the first look at all. If designers are going to use curvy models, how about actually extending their size range? Just a thought. @thefat&skinny...in my opinion this was a total fail for me...to me what good is using the model if the I don't like the clothes. I just wouldnt wear any of these pieces and to pay potential $2K or more for them...not worth it to me. I'm so super glad you were the first to say this. I really hate everything I saw. Not to mention, I think Crystal lost weight in other to wear this collection. Not Chanel for me. This is a Chanel-less look for me... I agree... FAIL!! Hi Five. I thought the same thing when I posted about this. It figures that they would do the curvy girl like this. Since it is part of the resort collection, no one should pay hi prices for this. I wouldnt wear any of those. They just wouldnt flatter my curves in the way I want. their are a few things I like in the clothing but it would take a total revamp for me to actually buy any of it... and whats the point in that? Nah, for me this is a fail. Chasisty, I have to agree with you. None of the outfits give me that pop-eyed wow that I would want if I spent Chanel money on clothes. And while I love that the plus size community is beginning to receive some attention what difference does that make if the clothes aren't designed with my size 18 frame in mind. On another note, I think some of us are so excited with the appearance of a plus size model that they are forgetting the purpose of the photograph... to capture the essence of the clothes. Yeah...the clothes are just ok...BUT...you hit pay dirt when you mentioned the fact that MODELS are so important to the plus community. I've never understood that obsession! 90% of the "editorials" from mainstream mags that all the bloggers have been posting have been of practically naked plus sized "models". How does that help anyone? If the plus community would stop being so obsessed with models and start getting into the clothes that the models are wearing....maybe they'd see a diference in what shows up on the racks. MONEY talks...not our "feelings" of being left out of the frikin modeling industry. Whew! This topic has been under my skin for years now. I'm happy they finally featured a plus size model in their ads (because Chanel is one of my favorite designers), but I have to agree. The outfits really do look like dishrags. They don't look like ANYTHING Chanel would usually cell. I understand, us fat girls have to take baby steps & start somewhere, but these photos are a no-no. ESPECIALLY the tweed blazer with that awful denim skirt. I wonder if there were other photos/outfits from the shoot because these 3 photos don't do it for me. I agree with all of the comments. First of all, using a plus size model in your fashion show is going to get media. It a great way to draw attention to the designer. Especially because Crystal Renn has been in the lime light lately. But why did he make her look so bland. The dress in the middle is not horrible, but the first and last outfit do not flatter her. And agreed, I would never be able to fit into any of these outfits, much less want to pay the money to wear them. Nice attempt, but lets try again. I like the dress but didn't love anything and certainly wouldn't pay top dollar for any of these designs. I think Crystal has lost so much weight at this point that he probably doesn't consider her plus size. She's beautiful and getting lots of press that is why he used her. It had nothing to do with her actually being plus sized. When a show brings on 50% curvy models then we'll all be able to stand up and applaud. Having the token "full-figured" model is just becoming a fad. i feel that Karl only did this because of all the things that have come out about what he has said about plus size women. he's a sad a man and so are those clothes. i would never design any thing like that for plus size of straight sizes. Ditto Tandrika! I'm definitely a plus FASHION enthusiast. The models don't mean anything to me...no offense to any models...I just love fashion...clothes..shoes..accessories. I could care less about who models etc etc. Blah..Anyhoo....What fashion enthusiast groups have you found Tandrika? I want IN! !